We realize that the daily bustle can take a toll on your garage door. All County Garage Doors recommends doors that can withstand weather variations, weight from heavy carriers and other materials that may compromise the stability of your door. Our made-for-business doors have been designed and built to handle just about any loads that may come into your business or home. We don’t just offer beauty, our doors are superb in build, they are safe and are secure. You can select a door from our huge inventory of top-of-the-line garage door brands. The choice you make is dependent on your needs. Whether you would like hard metal roll up doors or tough industry grade doors, we assist you to find the right door that addresses your need and matches your style requirements. We also have insulated doors that maintain the interior temperature of your garage. They come with temperature control too. 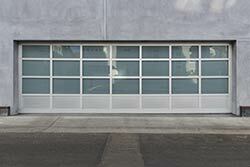 We only offer doors that run smoothly and have seamless operation mechanism. The materials used in the building process of our doors guarantee quality and durability. With the ability to control the temperature from inside, they offer comfort and privacy like no other. They save you lots of money as they reduce heating and air conditioning costs. All County Garage Doors have offered Cleveland residences and businesses with top-shelf, cutting edge doors and exceptional service. Our team of garage door experts in Cleveland, OH is always at your beck and call to guide you in selecting the best choice of door. You can get a door that matches all your style requirements, price, and future use needs. All County Garage Doors help you evaluate the status of your current door and help you decide on the future, whether you have a one-door or double door roll up. For all the years we have put in, we know we can guide you too. All County Garage Doors have all the best door brands for home and business. We also stock auxiliary components to help you make the most of your door set up. When the need to upgrade strikes, let All County Garage Doors take you through the process.